As students like myself heard the news of President George H.W. Bush's death, we fell silent. Though we were not shocked by the news, we were halted by the reality finally hitting us. 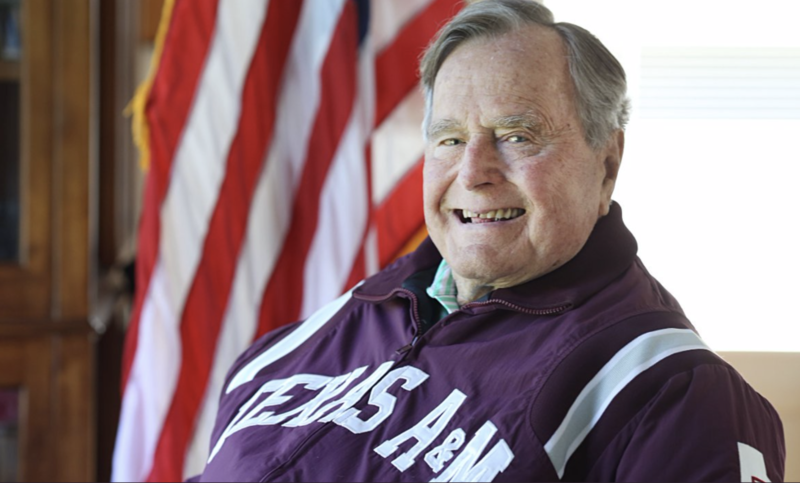 TAMU had a surprising kinship with George H.W. and Barbara Bush. Neither of the two attended the school I call home. 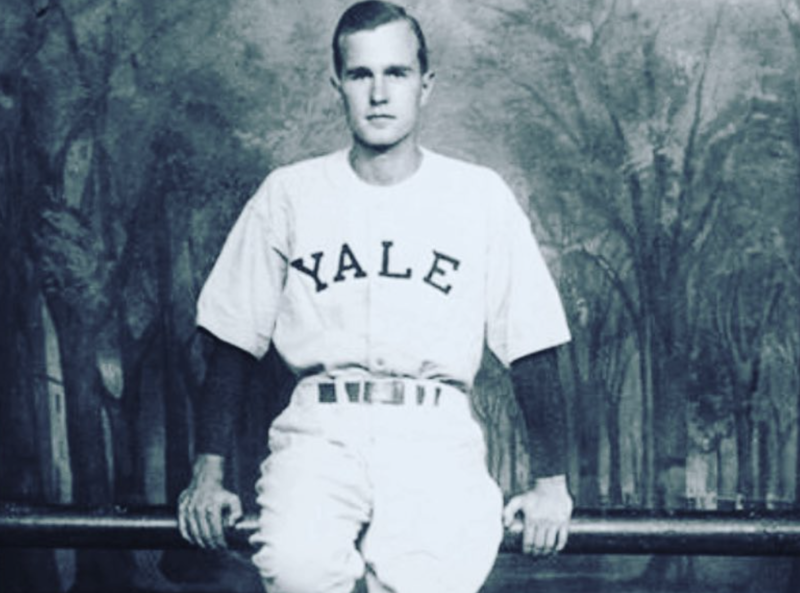 In fact, George was primed to be aligned with stereotypical East Coast exclusivity, growing up in Connecticut and enrolling at Yale. How did he grow to love College Station, arguably the opposite of his privileged northeastern origin? Despite seemingly different roots, Texas A&M and H.W. had a lot in common. In his essence, H.W. Bush was a devoted Navy man and public servant. At its core, the university's culture of respect and tradition finds its genesis in an earnest reverence of service for others – in the military or otherwise. It comes down to a mutual pride in something bigger than yourself; we have a kindred hope in humanity to improve with enough humble work. This is the attitude with which H.W. Bush led the country in his term as Commander in Chief. Although many young people don't recall the highlights of his single term presidency, he excelled in foreign policy and used his qualifications to problem solve locally. My favorite aspect of his politics remains his bipartisanship, a concept foreign to modern mindsets. He had the rare desire to reach across labels and unify the government. He inspired Democrats and Republicans alike towards policy and change, so much so that he received the 2010 Medal of Freedom from President Barack Obama. He made domestic mistakes in power. My university makes many mistakes, (trust me). This article isn't supposed to nostalgically gloss over reality in favor of a fantasy that never actually happened. The reason the late President had a soft spot for my school is that TAMU and H.W. 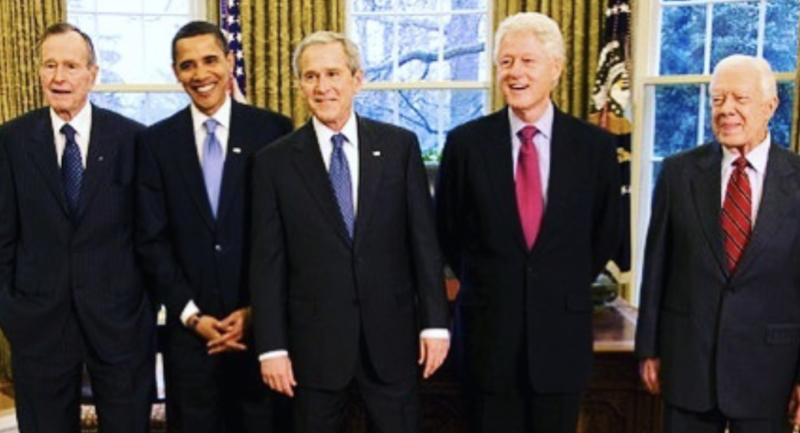 Bush both strived for similar ideals, always falling short, but always remaining steadfast in the hope to manifest to again the principles and the purposes upon which we act every single day. As President George H.W. Bush is laid to rest on December 6, 2018, I will lean into the shared ideals of Texas A&M; and the man who believed in us. As an Aggie, it is my duty to pay my respects to a man who strove to respect human dignity. With pomp and circumstance throughout my town, his funeral will be a military procedure fit for a war hero. A&M; honors 41 because he lived to honor humanity, just as we should exert our efforts.